BERLIN (Reuters) -- Volkswagen Group plans to make plug-in cars in China, company sources say, seeing a big potential market as the country's leaders fight hazardous levels of air pollution with measures that include boosting green power. VW will announce its plans at the Beijing auto show later this month and will build the plug-in hybrids -- a combined gasoline engine and electric motor that can travel longer distances on battery power than ordinary hybrids -- with their Chinese partner First Automotive Works, the sources said on Thursday. Production is likely to be at its new assembly plant in Foshan, southern China, the sources told Reuters on condition they not be identified because the plans are still confidential. China's Premier, Li Keqiang, said last month the country would "declare war" on pollution as part of efforts to upgrade the economy and shift the focus away from heavy industry. The government announced a 10 billion yuan ($1.61 billion) fund to help change the way it produces and consumes energy. It aims to promote green and low-carbon technology to cut fossil fuel use and control coal consumption. Volkswagen, Europe's biggest carmaker, is a late starter in terms of making environmentally friendly cars in China, even though the country is its No. 1 market and accounted for a third of last year's record 9.7 million global deliveries. Rival Daimler and its local partner BYD Co. plan to start selling their Denza electric vehicle this year, though as yet they have given no start date. Hybrid vehicle champion Toyota unveiled the Yundon-Showanchin II hybrid model last year, specifically developed for China. Faced with caps on carbon dioxide emissions in core European markets and a drive by rivals to develop battery-powered cars, VW needs to grab a share of the market for plug-in hybrids. "This technology allows us to meet three key customer wishes at the same time -- emission-free electric mobility, a full range for long-distance driving and 100 percent driving pleasure," VW CEO Martin Winterkorn said about the technology at the company's annual press conference last month. 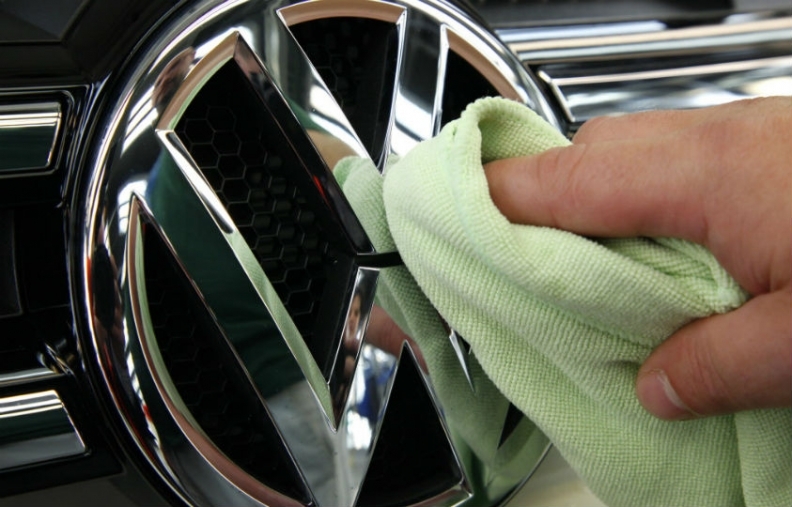 Volkswagen's Foshan factory has been building its Golf hatchback and the Audi A3 compact since last September, and Volkswagen said it will double capacity at the site, co-owned by FAW, to 600,000 cars a year over time. VW said last month it planned to develop and build a new, environmentally friendly vehicle with FAW, after talks between German Chancellor Angela Merkel and Chinese President Xi Jinping in Berlin, but gave no further details.